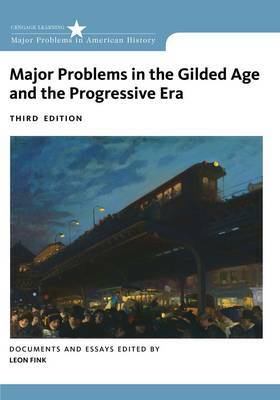 Major Problems in the Gilded Age and the Progressive Era, Third Edition, presents a carefully selected group of readings on the transformative period between 1877 and 1920 that allows students to evaluate primary sources, test the interpretations of distinguished historians, and draw their own conclusions. Covering capitalism, labor movements, the Great War, and roots of Progressive reform movements the book takes a roughly chronological approach, emphasizing themes that continue to resonate today. As part of Cengage Learning's Major Problems in American History Series, the book is designed to encourage critical thinking about history. It contains primary documents and analytical essays as well as introductions, headnotes that provide context to help students better understand the readings, up-to-date bibliographies, and full document sources.